Adversity is a normal part of consulting work. Bill Singer knows that the success or failure of our consulting practices often hinges on the way we perceive and respond to challenges posed by common setbacks: unreasonable client demands, failed communications, scope creep, collections issues, and constant time pressures. And the challenges we face aren’t just those specific to consulting. We’ve got to pay attention to the larger world around us, and today it’s a VUCA world— volatile, unpredictable, chaotic, and ambiguous. That makes resilience a key skill to employ when you face inevitable obstacles. Participants in Bill’s workshop will learn to identify early warning signs as well as tools and techniques to bounce back from adversity quickly and to persist with confidence and energy. The key is to learn how to cultivate a mindset that makes you unstoppable. Bill can show you how. Bill Singer is a leadership coach, sales trainer, and entrepreneur. He helps individuals and organizations achieve peak performance by building mental strength and agility in today’s attention economy. Bill is the founder and former president of Lexington Recruiters, where he served information systems staffing needs for three decades. His personal challenges include thriving through the depths of three recessions in a recession-prone industry. 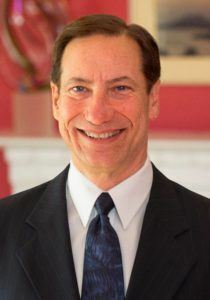 Bill has worked closely with consultants across a diverse set of local industries including financial services, healthcare, information systems and services, life sciences, education, and manufacturing. Bill’s interests include adventure travel, bicycling, tennis, hiking, scuba diving, and playing guitar.